A very impressive large scale garden fountain. 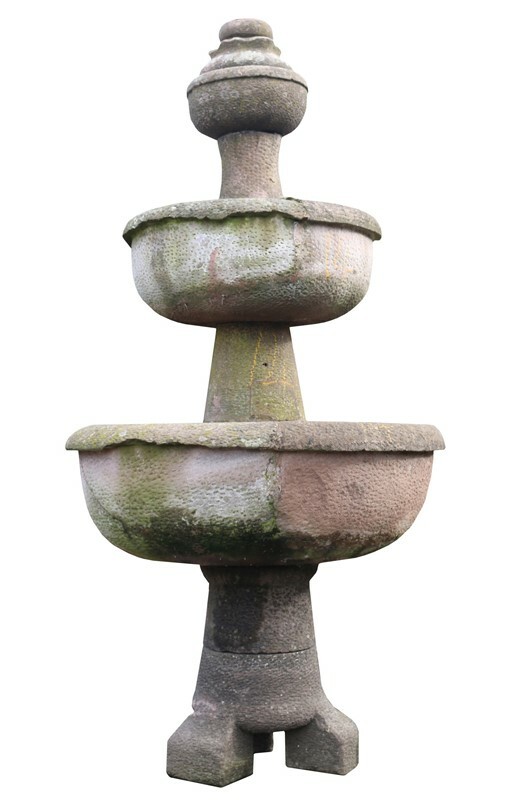 This fountain has been hand carved from red coloured sandstone. The fountain is weathered and in good condition for its age. There is an old repair in the largest bowl.